Curling. Chess on ice. Cooler shuffleboard. 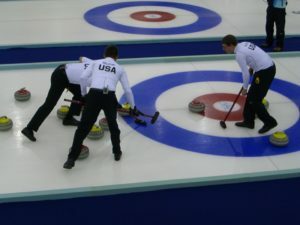 Players thrust stones onto sheets of ice, while others furiously sweep the stones’ paths to alter the state of the ice and assist the stones into reaching their goal. There is evidence that curling existed in Scotland as early as the 15th century, and clubs have existed globally since the 18th century. Curling is a great sport for building closer relationships and dynamics within teams, as well as the general health benefits that come with participating in sports. Curling is also an incredibly popular Olympic sport. People tune in just to watch it during the Winter Olympics, turn the sport into gifs on Twitter and watch that one “Simpsons” episode where Marge and Homer are somehow really good at it. Canada usually kills it, unsurprisingly, but there’s a curling opportunity close to home. The Columbus Curling Club has been active since it began in Newark in 1999. Since then, the club has both grown and moved to Columbus, where the magic now happens in Clintonville. The club’s website has a plethora of information including membership details and fees, and a calendar featuring “learn to curl” time slots, bonspiels, outings and more. 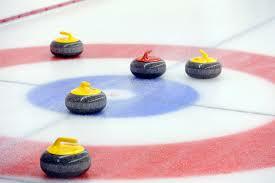 The club’s mission is to educate and promote growth in the support of curling in the greater Columbus area. They provide education and training for curlers of all ages through programs for youth, competitive and league curlers. The club is a non-profit organization that is run entirely by volunteer members. They maintain the ice and the building as well as teach new curlers and run the bonspiels and the youth program. The Columbus Curling Club’s current “learn to curl” clinics are full, but those interested can sign up for a mailing list to be notified when clinics are open again. There will also be more openings during the next season in October, according to the website. For any questions, the club can be contacted via email at info@columbuscurling.com.